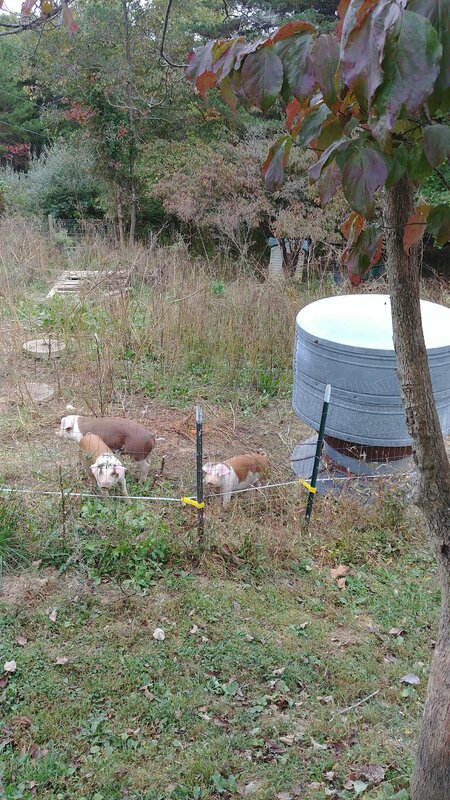 The hog feeder we bought in Indiana is in with the pigs; Ted put 1200 pounds of feed in it, and it had room for probably 600 pounds more. The plan is to only fill it two more times before the pigs go to butcher. This will save us a lot of time this winter on feeding chores!